Dominique Bruinenberg says she is primed to take her game to a new level as Everton Ladies prepare for their SSE Women’s FA Cup fourth round clash against Chelsea on Sunday. Willie Kirk’s team take on the WSL high-fliers at Southport FC’s Merseyrail Community Stadium (kick-off 2pm). Everton reached the semi-finals of the Cup last season and will be aiming to embark on another strong run in the competition. Dutch midfielder Bruinenberg, who signed for the Toffees from Sunderland in July 2018, insists she is eager to help the team progress. The 26-year-old says she “feels at home” at Everton and is confident her game will continue to develop under the guidance of manager Kirk. “I have been enjoying it at Everton very much,” she added. “If I look at myself as a player last season, I have made huge steps both physically and mentally. I feel I have improved a lot. “Obviously, I haven’t played as much as I would have liked, but I have just concentrated on working really hard to get my physicality up. “I know I am a good player – I just need to make sure everything falls into place. Bruninenburg’s housemates Siri Worm and Inessa Kaagman were named in the latest Netherlands squad, with Kaagman making her debut in a 2-1 victory over South Africa. The midfielder believes she is at the ideal club to help her make that progression. “I would definitely like to push on and try to join in Siri and Inessa in the Dutch squad,” she said. “It has always been and still is a really big goal for me. “I know it will be hard because that group of players is so strong. But if I keep pushing myself then I am confident my opportunity can still come. I really hope I can push my game on to the next level from now until the end of the season. “I want to show I am capable of playing at international level. Willie Kirk called on his players to be “more streetwise” after they bowed out of the FA Women’s Cup. Goals from Drew Spence and Hannah Blundell consigned the Blue Girls to defeat, despite a resolute and hard-working performance from the hosts. But it was the manner of how his side conceded those goals that left Kirk frustrated. From an Everton corner, the ball was cleared to England striker Kirby. Her trickery allowed her to play in Spence and when she raced clear, a low finish beat the impressive Kirstie Levell in the home goal. Then, pushing everything forward looking for the equaliser, the Toffees were again undone as Kirby was denied by Levell but Blundell was on hand to tap home. “The girls are deflated,” admitted Kirk. “We caused Chelsea a lot of problems, especially in the first half. “But what is annoying is that we have conceded from our attacking set pieces. The girls are frustrated about that but we have to be more streetwise. We have to decide early when we can kill the counter. 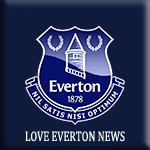 Everton had chances, Simone Magill volleyed debutant Emma Brownlie’s cross straight at Ann-Katrin Berger, while Chaney Boye-Hlorkah saw a speculative strike from range kept out by the Chelsea keeper. Kirk, however, could take solace from a solid first 90 minutes in an Everton shirt from transfer window signing Brownlie, the former Hibs right-back. “Emma did great,” added Kirk. “If you look at her full game, playing one of the best teams in England in her first appearance playing in this league, she should be quite pleased.